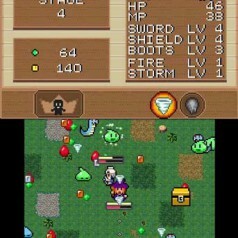 Retrogaming is a culture of playing old games or creating new games in the style of old games, artificially restraining game aesthetics to mimic the very real technological restraints that made the historical games’ the way they are, akin to applying a filter to a digital photograph to make it appear overexposed. But the objects at the center of retrogaming culture—mostly games from the 1980s and 1990s—are being repurposed to fit into this culture; nostalgia is not their original raison d’etre, though it may be what is preserving them now (a boon for researchers who rely on historical texts). In fact, I argue that retrogaming has, in fact, changed the games themselves, even if the code itself has not changed. That is, when we consider a text as a socially situated object, we find that as textual practices change around a material (or digital, in the case of code) object, the text itself changes as cultural perception and use of the text changes. Bawarshi builds on Foucault’s notion of the “author function,” which roughly means that who the reader perceives the author to be has a greater influence on how the text is understood than who the author is (in the traditional sense) or what he may have intended. We see this author function at work in quotations commonly shared in social spaces, which are significant in part because they are attributed to a famous person perceived to be profound, regardless of whether or not the quotation actually originated with that person. Bawarshi claims that genre functions in a similar way—and, indeed, that authors’ names may in fact be genres (as, for instance, when we say “Shakespearian tragedy” or “Dickensian characters”). But what does this have to do with retrogaming? Let’s say a certain game in 1994 is categorized as an adventure game, and it has reviews in major gaming publications at the time as the next big thing in graphics and sound. 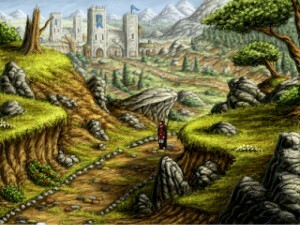 The genre attributed to it (or possibly “projected onto it” is the better expression) would be “new adventure game,” possibly even “current bestseller.” Twenty years later, in 2014, the game is considered “classic,” “retro” or “historical.” The game doesn’t appear to have changed at the material level; provided the player has the platform to run the game, the puzzles have the same solutions, the characters speak the same dialogue, the pixels have the same placement. But something has changed, because the player does not have the same experience or response. What changed is the genre. Traditionally, we think of genre as a simple classification of type or kind of text. The classical genres were largely defined by the occasion and the style of presentation: poetry, drama, oration, and so forth. These get refined into a limited genre system within each group: lyric, dramatic, and narrative (epic) poetry; tragedy and comedy; etc. More recently, we tend to focus more on categorizing content: fantasy, science fiction, romance, horror, etc. But in game studies, the genre-as-type still prevails, and the genre names, like the classical genre types, refer to the style of performance (where performance = play): platformer, first-person shooter, adventure, role-playing game, etc. Instead, it’s helpful to move away from the idea of genre as a static classification system or a mere set of boxes in which we drop games to organize them (and subsequently spend all day arguing over whether we should have dropped that game in the RPG or adventure box). In rhetoric and composition, Carolyn Miller’s definition of genre as “social action” has become an oft-repeated mantra. This is a somewhat confusing term, though. “Social action” has come to mean politically charged socially conscious action, such as protesting or drafting bills. But what Miller means is that when we create a text in a known genre, we are doing something socially. That is, genre isn’t something we apply to a text just to figure out what shelf it goes onto, but it’s something we do, something we enact. When we write an invitation, we invite; when we give a eulogy, we eulogize; when we design a first-person shooter, we—shoot? Wait, what do we do? What are we trying to accomplish socially? It gets even more complex when we consider a game that once was cutting-edge and new and now is “retro.” The terms we use to describe the game have changed, which suggests that something about what we think the game is has changed. Something about the action we enact when we play the game has changed. When we play a new game, we look to be thrilled, impressed, immersed. We also look to engage in a community of other excited people who are looking to be thrilled, impressed, or immersed. But when we play a retrogame, we’re doing something different. We aren’t impressed as much as we’re nostalgic. If it’s a game we happened to have played when we were younger, we want to remember; if it’s a game we missed, we’re filling in the gaps, trying to catch up on what we might have missed. Because our purpose in playing the game is different, the game itself is different. When we retrogame, we wind up playing the game we remember or the game we were told to expect, rather than the game as designed. 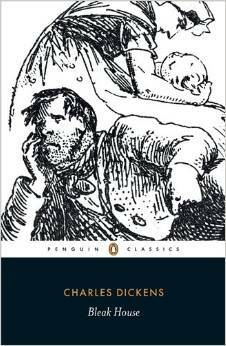 Consider an analogy to other media: When we read a novel like Charles Dickens’s Bleak House, we buy a single volume and we read it straight through as a unified work; we do so because that is how we understand and expect the genre of “the novel” to function. We read the novel, then, as a classic: we expect it to somehow enrich us, and we associate the act of reading it with erudition and good taste. Thus, we tend to find very little objectionable in what we read. We come away from the reading thinking that Victorian readers must have had a great deal more readerly stamina, and a great deal more tolerance for loose plot structures and repetition than we readers have today. This thinking creates a reading experience very different than Dickens’s contemporary readers would have had, though. Careful! Dickens might just kill your favorite character in the next issue. Because Bleak House was not published to be a classic, and nor was it initially published to be read straight through. Rather, it was published as popular culture material, and consumed in smaller serialized volumes. The social practice of reading such a novel that shaped the story’s structure was more similar to the practice of watching a serial such as Game of Thrones: fans would eagerly await each new episode, often consume it together, and then discuss and debate the events in that issue while they wait for the next one. When the series was complete, they would bind together the individual issues or buy a collected omnibus issue—rather like rewatching on Netflix or buying the DVD. In effect, when we read Bleak House now, we are binge watching it. But with games, players make choices informed by their expectations of what a game is and how it operates. When a player applies a genre to a game, the player is making a claim about how it should be played. When genre definitions change, so also do the expectations of gameplay. It’s not really controversial to say that a game is influenced by the games that came before it. This is simple historical logic: what was once innovation becomes industry standard, and so forth. In this way, we can date texts by their conventions and styles. But games are also influenced by the games that come after them, at least in retrogaming practice. We play a game like Zork or Mystery House because we want to see how they spawned their respective game styles; in so doing, we apply our expectations of how to play these games that were developed by playing later games. We value them not for themselves, but for their cultural position. We end up experiencing time from end to start. Fantasy and Artistry in the Adventure Game Genre That Has Never Been Matched! The King’s Quest series often gets a bad rap… when compared to the more zany Lucasarts adventure titles, or even Sierra’s own Space Quest or Leisure Suit Larry games. True fans of the series know this not to be true however, as King’s Quest, especially in these later entires[sic], can be so imaginative and unique compared to other adventure titles. They are a mix of classic knights and dragons, the purest form of fantasy and the most zany madcap characters all in one amazing adventure. King’s Quest VI is the game that got me into PC gaming. I was a Nintendo/Super Nintendo fan like most kids until my mother had me play KQ6 and Alexander’s adventure… took me over completely. Here was a story with great dialogue, perilous adventure and often great maturity! This was a game for an adult, not a Saturday morning kid’s program! My love for PC gaming and adventure games was forged and has still never died. As you bounce from island to island, meeting all kinds of unique characters and stunningly creative locales, I am sure you will feel the same. King’s Quest IV and V I played later, and while IV might be a bit old in the tooth for some gamers KQ5 holds up very well even today with talkie effects, great artistry and classic gameplay… Grab these classics and enjoy them all over again or for the very first time. If they are an introduction then oh I envy you, I wish so much I could go back and be introduced to King’s Quest all over again. Note that the dominant tone here is of nostalgia; the player’s focus is on their personal relationship to the game, and the game’s role in their own past. The fantasy that this user ends the review with is that of experiencing the game for the first time again—reliving that formative past. King’s Quest VI’s cinema-style graphics, illustrations, and sounds are noticeably enhanced. The introductory scenes are just the start. Imagine 3-D renderings zooming from distant to close-up frames, while simultaneously panning and rotating 360 degrees around the Grand Hall of the Castle of Daventry. This glimpse into virtual reality is one spectacular intro. The emphasis here is not on memory or formative experiences. This reviewer is concerned with the same issues that a reviewer of a recent game might be concerned with: graphical and audio quality, narrative interest, and so forth. This reviewer looks forward, not backward: this is a thing of the future, the cutting edge, rather than a thing of nostalgia. In fact, although the contemporary reviewer looking at the game as a popular new release starts by talking about the stunning graphics, the reviewer looking at it as a classic doesn’t discuss the graphics at all (except to note that the SCI game in the package, King’s Quest IV, might seem dated). Quest for Infamy is a game littered with pop culture gems (Shoutout to Jafar hanging out in Volksville), nostalgic gaming references, and cheesy one liners that would make Mel Brooks proud. It does take a bit of patience to fully appreciate the subtleties, but journeying through Lonaria is enjoyable and I often found myself wanting to venture out further. And while it’s easy to overlook the old school visuals, I highly recommend taking a moment to appreciate the hand drawn detail that went into each screen. The combat and class systems take a back seat to the game’s lush personality…and you know, I’m ok with that! Simply put, It’s a blast from the past that doesn’t take itself serious and does a wonderful job at balancing brilliance with slapstick buffoonery! The graphics praised here for their warmly regarded “old school visuals” are, in essence, a direct imitation of the graphics praised in the 1993 review as being “noticeably enhanced”. 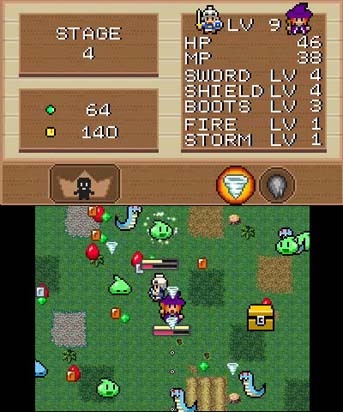 Although the images may be very similar, their effect on the player is different because of the cultural context in which they are viewed. The one is praised for being advanced, while the other for being retrograde. The standard of evaluation shifts as the genre shifts. But what’s most important is that new retrogames don’t actually emulate what classic retrogames were when they weren’t classics or retrogames; they imitate what they are now, when they are revered as such. Rather, they emulate what we as players construct them to be. They attempt to distill our nostalgic longings, and we judge them by their ability to do so rather than by the criteria applied to new games—which would be the criteria for which the classic retrogames were designed. The key here is that when we change the standards by which we judge games and the reasons for which we play them, we actually change the games themselves because those shifts change how we play. And as long as we consider the game to be not just the code or material objects that come in a box, but also the experience of play, then we must acknowledge that when we play for nostalgia, we aren’t playing the same game that we used to play at all. But that’s ok, because we are still playing a game that is meaningful. It’s just a different meaning.